And I saw an archer with a bow and arrows, and they were the arrows of the LORD’s Deliverance, His Word fueled by our Praise! “Beloved. Train your Bow upon the enemy. Target your prayers, My Child. My Arrows are My Word and My Spirit is the Fire behind them. My Word shall not return to Me void but will accomplish that to which they are sent. I AM with you, Dear One. When I arise, your enemies are scattered. Your enemies shall flee in My Presence, they shall be sent to flight before My Hand. My Arrows are Lightning in your hand and they shall rout the foe and put him to flight. You are a mighty warrior, part of My end time army. Your Captain has called you from the ends of the earth; and behold, quickly, speedily you have come. None shall be weary, none shall stumble, none shall slumber or sleep, not a waistband is loose, not a sandal strap broken; your arrows are sharp, all your bows bent, your horses’ hoofs seem like flint, and their wheels like the whirlwind. This is who you are in Me, Beloved. For you wrestle not against flesh and blood, but against principalities and powers, rulers of darkness and spiritual wickedness in high places. 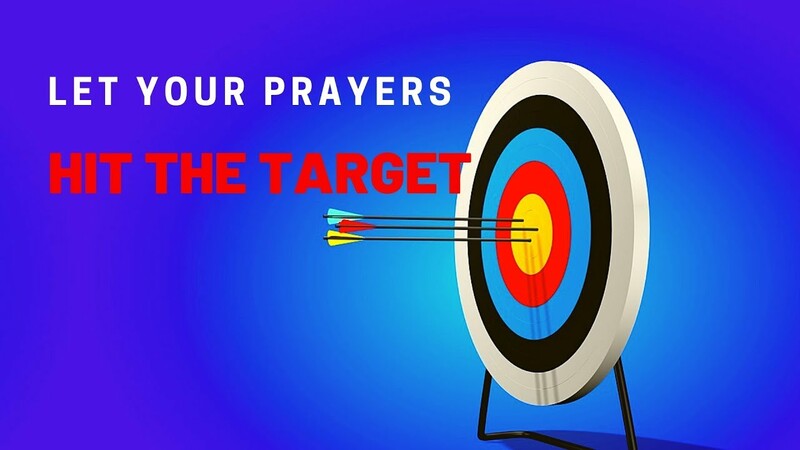 Target your prayers, Mighty Warrior. It is I who arms you with Strength and makes your way blameless. I make your feet like hinds feet and station you upon the heights. I have trained your hands for battle; your arms can bend a bow of bronze. By the power of the Holy Spirit you shall hit the mark perfectly. The devil’s secret plans shall not prevail. Your arrows shall pierce the hearts of the King’s foes; the nations shall fall beneath your feet. “God arises. His enemies are scattered, and those who hate Him flee His presence,” Psalm 68:1. “He shot His arrows and scattered the foes; He hurled lightning and routed them,” Psalm 18:14. “For You will put them to flight when Your bow is trained upon them,” Psalm 21:12. “Your arrows pierce the hearts of the king’s foes; the nations fall beneath your feet,” Psalm 45:5. “Flash forth Your lightning and scatter them; shoot Your arrows and rout them,” Psalm 144:6. “For who is God besides the LORD? And who is the rock except our God? It is God who arms me with strength and makes my way blameless. He makes my feet like the feet of a deer and stations me upon the heights. He trains my hands for battle; my arms can bend a bow of bronze,” Psalm 18:31. “He will lift up a banner to the nations from afar, and will whistle to them from the end of the earth; surely they shall come with speed, swiftly. No one will be weary or stumble among them, no one will slumber or sleep; nor will the belt on their loins be loosed, nor the strap of their sandals be broken; whose arrows are sharp, and all their bows bent; their horses’ hooves will seem like flint, and their wheels like a whirlwind,” Isaiah 5:26-28. “So shall My word be that goes forth out of My mouth: it shall not return unto Me void, but it shall accomplish that which I please, and it shall prosper in the thing whereto I sent it,” Isaiah 55:11.